Students and select groups of others can now apply for scholarships to attend WWDC 2019 in San Jose, but they'll have to act fast to have a chance. Successful applicants will get a ticket to the event, plus lodging and a free year of membership in the Apple Developer Program. Applications must be submitted by 5 p.m. Pacific time on Sunday, March 24. Candidates must be 13 or older, or "the equivalent minimum age in the relevant jurisdiction," for instance 16 in the European Union. They must also be a registered Apple developer, and if not currently enrolled in school, be an active member of a non-profit STEM organization or a high school graduate waiting to be accepted for higher education. In the latter case, they'll need to have graduated within the last 6 months. The test project involves creating a Swift playground that can be finished in 3 minutes, using Swift Playgrounds 2.2 or Xcode 10.1. Playgrounds can be based on Apple templates, but must be developed solo, and any third-party code or images must be open-source or in the public domain. Apple is also requiring submissions to be entirely in English, in a ZIP file capped at 25 megabytes, and "optimized to display properly on all models of iPad Pro." Because judging will take place offline playgrounds can't depend on any online content, and in fact all resources must be contained in the ZIP. Although judging will be based primarily on the Swift project, Apple is also rating people on some written responses, for instance describing their enthusiasm for coding and any apps they have on the App Store. Some people may be eligible for additional financial assistance such as air travel, so long as they submit evidence. Scholarship winners will be notified by Apr. 15. General applications for WWDC 2019 tickets end later on Wednesday at 5 p.m. Pacific time. 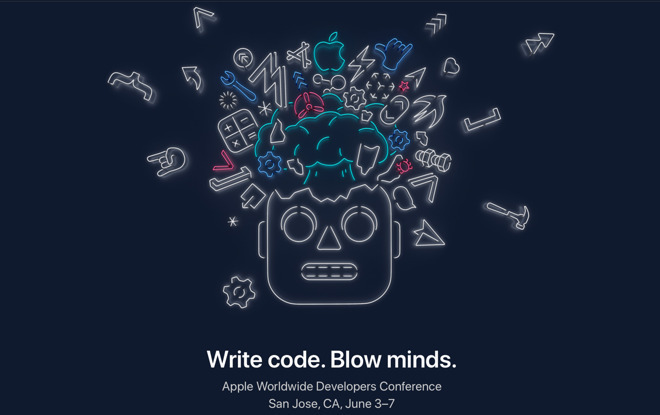 Lottery winners will be notified by March 21 at 5 p.m. Pacific if they're eligible to buy a ticket -- people who can't will have to livestream the conference through the Web or the WWDC app for iOS and tvOS. Apple will likely use this year's WWDC keynote to preview the next major releases of iOS, macOS, tvOS, and watchOS. It may also make more service-related announcements, and showcase new hardware, one possibility being the modular Mac Pro.